Tickets go ON SALE Saturday, December 15th, at 8am CDT. Among rock listeners, Exile is remembered as the one-hit wonder responsible for 1978's number one smash "Kiss You All Over". However, in the early '80s, the Kentucky-bred band reinvented itself as a country outfit -- and a hugely successful one at that. Exile is celebrating their 40th Anniversary of "Kiss You All Over". Exile takes the stage at 7pm. 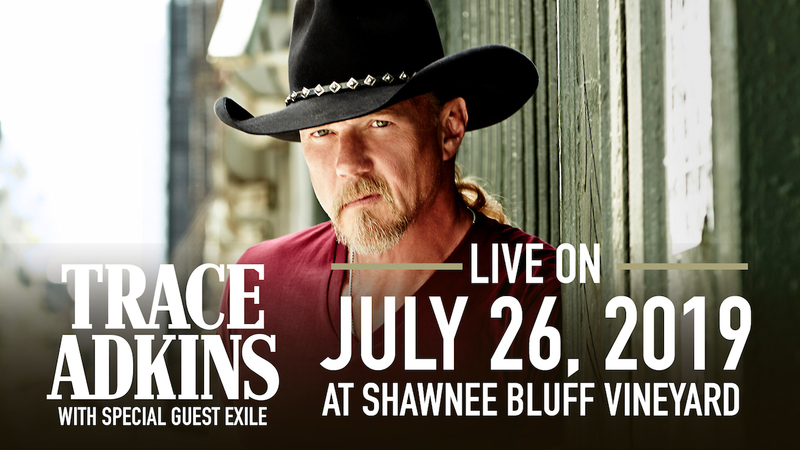 Trace Adkins on stage at 8pm. EPIC Fireworks after the show by Brilliant Skies. Parking is $5 and 50% goes to the local L.A.M.B. (Lake Area Mission Builders) Charity. This is an outdoor event. Rain or Shine. Tickets are Non-Refundable.